If you say you’re a doctor, it’s understood you help find remedies for ailments. If you say you’re a chef, that means you cook for a living. If you say you’re a public relations practitioner, you get a gigantic question mark. It’s quite ironic that people whose duties include devising public awareness campaigns (PR people, myself included), have not yet found a way to clearly explain what on earth it is that they/we do. The sad reality is, people don’t roll with PRSA’s definition. 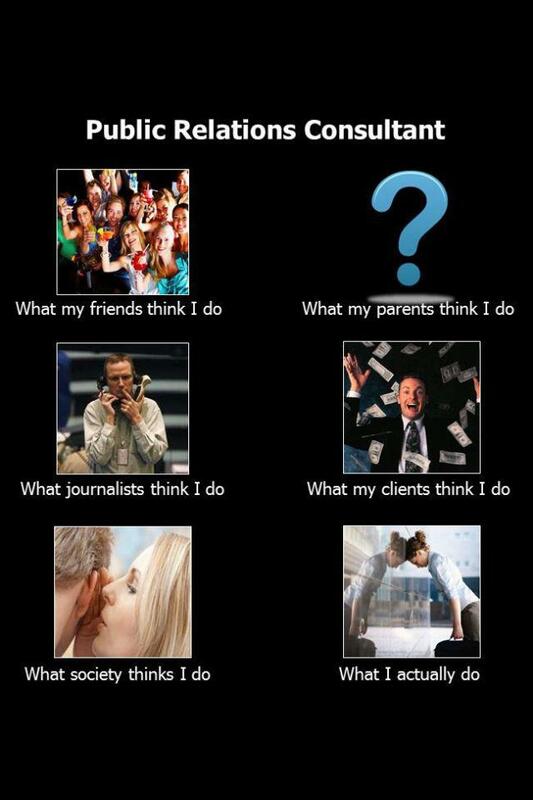 They pretty much define PR with the humorous image below (special thanks to Dr. Shen for sending this my way). To my colleagues, enjoy, laugh, cry, or make a difference in our field by getting the message out there. I know I will. Hi Pauline, I've been trying to reach you. I don't know if you ever got my message. I was wandering if I'd ever be able to see your "Over The Hills And Far Away" Cover ever again? Any time I try to view it; "Warner Chappel" has blocked it. Weather it is on YouTube or your sight.